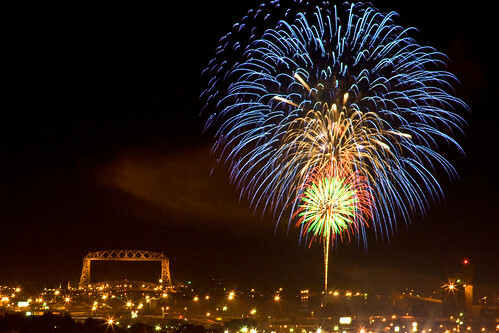 Duluth Fireworks 1, originally uploaded by Snogger1. With Independence Day in the rear view mirror, here's an amazing fireworks photo taken in Duluth, MN with the nicely lit lift bridge in the distance. The blue tone of the fireworks is particularly nice.